Still inking with the Green & Blues! As always it's 'Anything Goes' as a theme, with the option this time of 'BINGO'! Stamps/Images: MilkCoffee Digi Stamp 'Charlotte and Butterfly'. 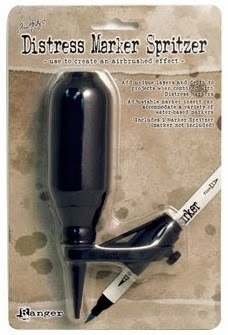 Lazar StudioWERX Inc rubberstamp 'Funky Holidays'(swirl). Magnolia 'BakgrundsSwirl Bröllup'. Kort & Godt 'Gratulerer med dagen'. Papers: Bazzill orange peel cardstock. Panduro Hobby Basic Pattern paper 'Turqouise heart'. Making Memories Spiral Journaling by Noteworthy. Karen Foster design 'Green swirl stitch'. Sugary Fancy 'Enjoy life' digital minikit. Black Lady Designs - BLD 'FreshGreen digital overlay_free'. 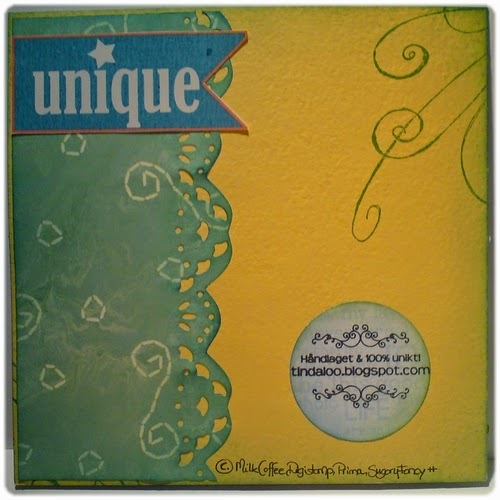 Embellishments/Tools: Spellbinder Nestabilities 'Labels 8 - S5019'. C.C. 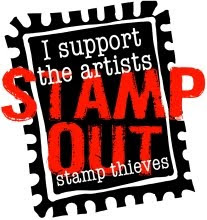 Designs Cutters 'Olive Branch Die'. Prima Marketing Inc Flowers 'Essentials 4 Dude'. And Prima Painterly Petals 'Morning silk'. EK Success Whale Of A Punch 'Large Circle 1.75'. 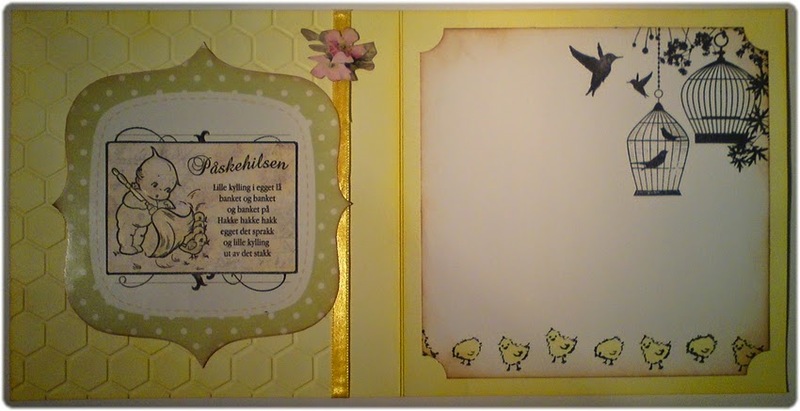 Panduro Hobby 'Double-do #40. diecut Relieffstanse Bord 065348'. May Arts ribbon 'Grosgrain Stitch Print Scalloped Edge green'. Eyelet Outlet LLC brads. Kaisercraft 'deep yellow' rhinestones. Galerie selvkleb. rhinestone flower. AuroraWings Rose Fairy in Green & Blue! ..Congratulations ~ enjoy your day..
Usually it is the vintage & soft earthy tones that gives me inspiration to color and craft. But lately I've been having tons of fun playing with Tim's gorgeous green & blue distress inks from the seasonal packs ~ peacock feather, mowed lawn, salty ocean, evergreen bough. 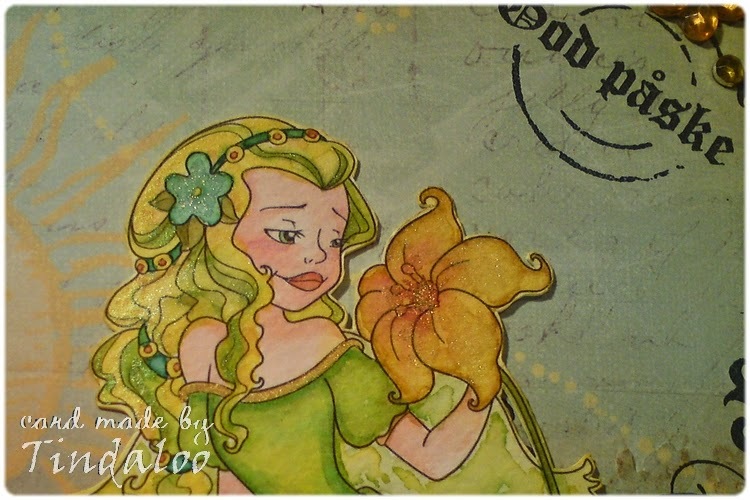 Stamps/Images: AuroraWings by Mitzi Sato-Wiuff 'Rose Fairy - Big Eye Elf with Roses'. Panduro Hobby ~ Vibeke Sprigseth Poppy Design Clearstamps 'Fraser/Tekster 510122'. KaiserCraft Clear Texture Stamps 'Botanical'. Lazar StudioWERX Inc rubberstamp 'Funky Holidays' (swirl). Norsk Stempelblad Ett Trykk 'Clearstamps tekst07'. Prima Flowers CS 'Paintable Grid 541903'. Papers: Cardstock & Canson watercolor paper. Panduro Hobby Basic Pattern paper 'Turqouise heart'. Karen Foster design 'Green swirl stitch'. Embellishments/Tools: KaiserCraft rhinestone flowers. Ribbons unknown. Quickutz/LifeStyle crafts 'Nesting Lace Squares DC0158', 'QK KS-0737 Tree Short'. Spellbinder Nestabilities 'Labels 8 - S5019'. Sizzix Thinlits Die Set 5PK - 'This & That ~ Charming' by Echo Park. EK Success Whale Of A Punch 'Large Circle 1.75'. The star embellishment is unknown - this I added a drop of Ranger Alcohol ink 'Meadow' on. 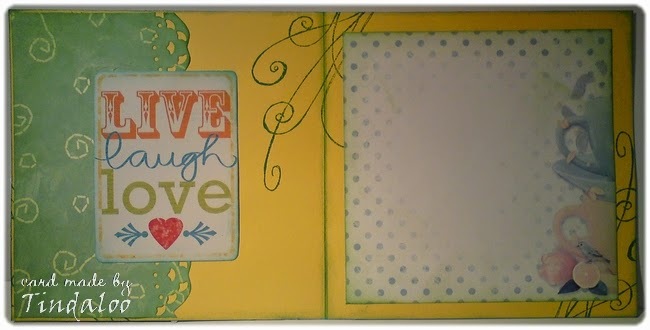 I used Twinkling H2o's and Tim Holtz Distress Ink pads n markers to watercolor and distress image and papers. 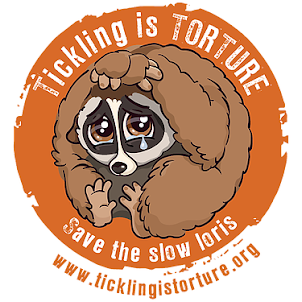 Vår sponsor er Crafty Sentiments for denne ukens utfordring #32 hos Creative Fingers ~ og som vanlig har vi 'Lag-hva-du-vil' med et valgfritt tema som denne gangen er 'Påske'! 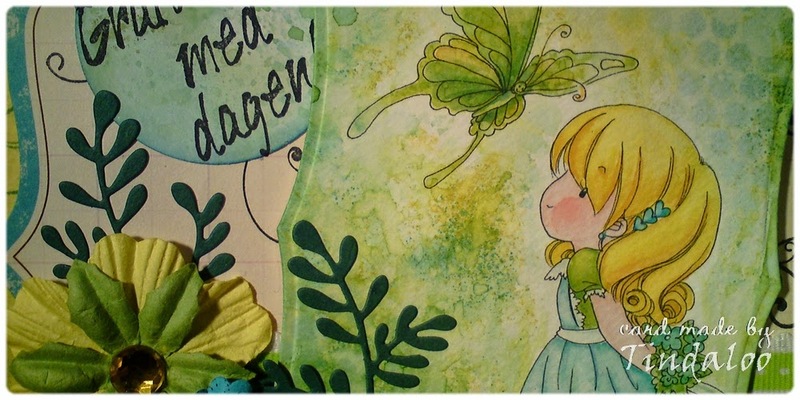 Jeg fikk velge meg 'Scilla Fairy' digistempel å vise frem ♥ Nydelig! Jeg elsker alt magisk/fantasy, og alver og feer spesielt! I was very lucky to get to choose this gorgeous fairy digi to ink up from this weeks challenge sponsor Crafty Sentiments at Creative Fingers :) #32. It's always anything goes with optional theme of 'Easter' this time. You're welcome to join us! 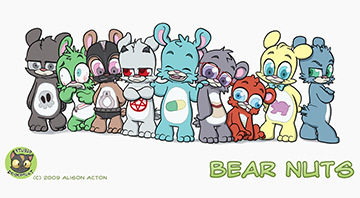 We also have a Design Team call going, see the info about it here. 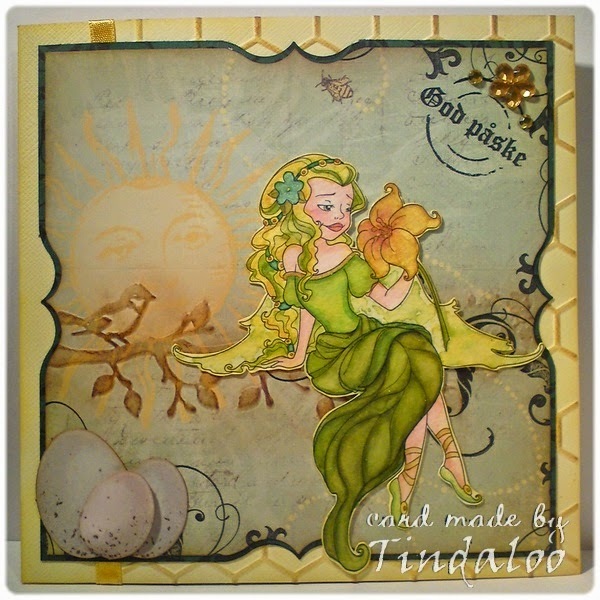 Stamps/Images: Crafty Sentiments 'Scilla Fairy' digistamp. Prima 'Celebrate Jack & Jill Easter' clearstamp set. Papirloftet - påske stempler (retired easter stamps). Lazar StudioWERX Inc rubberstamp 'Funky Holidays' (swirl). Kaisercraft Clear Stamps 'Hummingbird CS808'. Papers: Bazzill cardstock. Prima - Sunkissed coll 'shady nook'. 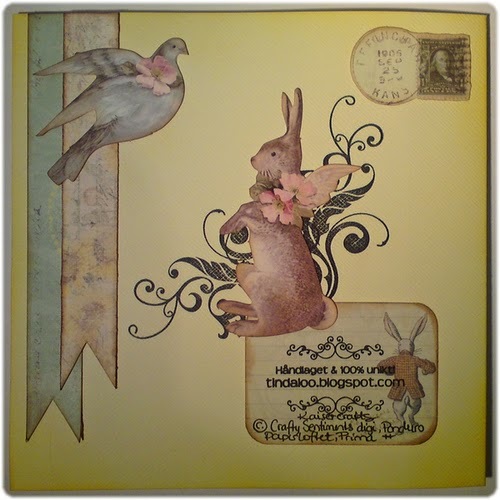 Panduro Hobby 'All that is spring' Tilda coll paper pad. SO Collab 'Winter Woodland' journaling digi element from Bella Gypsy Designs. My digital daydream at Etsy - Alice in Wonderland 'alice journaling cards2'. Detail back of the card.